MAXIS Bhd, the first Malaysian telco to launch 4G LTE (Fourth Generation Long-Term Evolution) services in Malaysia, said it has extended coverage beyond the Klang Valley, including East Malaysia. “We have now doubled our 4G LTE coverage in the Klang Valley to include areas such as Bukit Damansara, Kepong, Sungai Besi, Sentul and Subang Jaya, as well as expanded our 4G LTE footprint to cover areas in Penang and Johor Baru,” said Maxis joint chief operating officer Nasution Mohamed (pic). 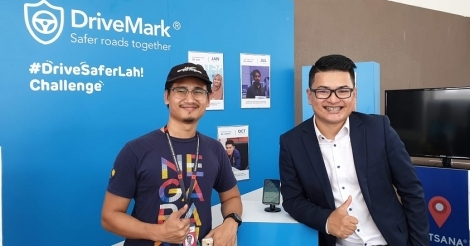 We are also proud to be the first to offer 4G LTE in East Malaysia, starting with Kuching and Kota Kinabalu,” he said, adding that the company has 130,000 customers on 4G LTE service since its launch on Jan 1. For the full list of Maxis’ 4G LTE coverage areas, data plans and devices, click here. The company also launched a data plan and promotion for the 4G LTE-enabled Samsung Galaxy S4, joining its current offerings for Apple’s iPhone 5, iPad mini and iPad 4; Blackberry Q10; HTC One and HTC One XL; and the Nokia Lumia 920. The Samsung Galaxy S4 is now available for purchase at all Maxis Centres and participating exclusive partner stores nationwide, as well as the Maxis Online Store. Stocks are will be on a first come, first served basis. “We are proud to announce that Maxis will once again be the first in Malaysia to introduce the fourth generation 4G LTE-enabled Samsung Galaxy S4 to our customers. “We know that customers have been eagerly anticipating the debut of the 4G LTE-enabled Samsung Galaxy S4,” said Suren J. Amarasekera, Maxis joint chief operating officer. The Samsung Galaxy S4 is available with data plans from RM1,399 upwards. Maxis One Club (MOC) members will enjoy for a limited time a special price of RM999 by signing up for a 24-month contract with the TalkMore78 plan, at RM176 a month. On May 15, Maxis launched its 4G LTE-enabled BlackBerry Q10 offering, which is available with data plans from RM1,178 upwards. MOC members will enjoy a price of RM1,088 for the BlackBerry Q10 by signing up for a 24-month contract on the BBMore148 plan, with a monthly commitment of RM148.